We all want a more energy efficient home, and while some energy saving home improvements can come with a hefty price tag, investing in LED lightbulbs could be one of the most cost-effective ways to create a greener home. 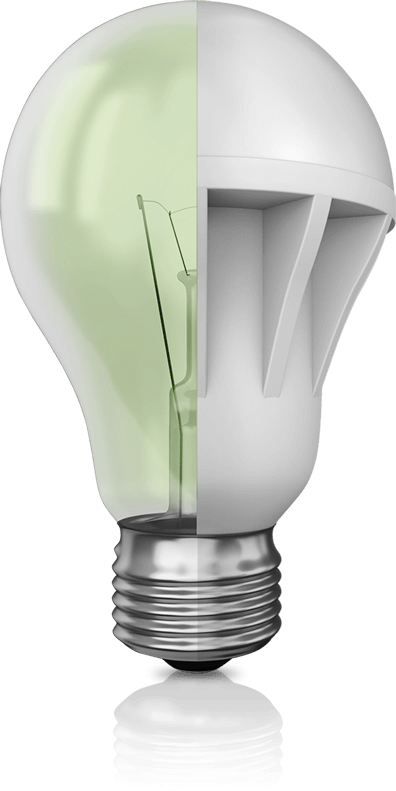 In fact, our latest research shows that switching from a traditional halogen lightbulb to an LED could save the average household around £231 a year! As the nights draw in, chances are we'll all be using the lights in our homes a lot more to keep each room bright and welcoming throughout the winter months. You may not give a second thought to switching on a light, but it's worth bearing in mind just how the energy bills can stack up if you're not using the latest energy saving lightbulbs. To help you figure out how much you could be saving in the winter months and beyond, we've crunched the numbers to produce this new tool showing you how much you could save by switching to energy efficient bulbs throughout the house. do you have in your home? Tariff information from comparethemarketmarket.com data. The cost of LED bulbs and the wattage of LED bulbs from www.lightbulbs-direct.com & www.thelightbulb.co.uk respectively. This is on the assumption of an average sized house and every lightbulb being LED.